The revamped interface adds new download options and is more informative. 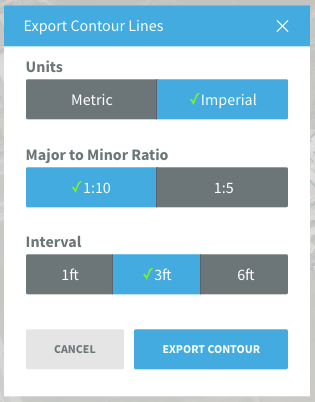 You can now download contours in a variety of flavors to suit your needs. When finished processing, your files are translated by default into your project’s local coordinate system automatically. This makes it even easier to bring your data into your workflow, eliminating the need to re-align the data. 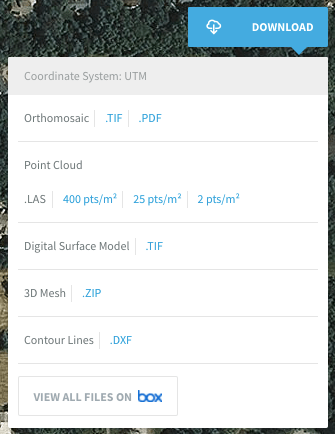 Your point clouds will simply snap into place, aligning perfectly with your models! Sign in or sign up to check it out, and send us a email at support@skycatch.com - we’d love to hear what you think!